As crucial legislative measures on maternal and child nutrition move closer to enactment, the Philippine Legislators’ Committee on Population and Development and its partners sustain efforts to ensure that the bills will finally be enacted within the 17th Congress. PLCPD participated in the pre-bicameral conference for the First 1,000 Days bills held at the Senate on May 2. Representatives from the House Committee on Health and Senate Committee on Health and Demography and the offices of Senators Hontiveros, Recto and Ejercito led the conference. The Department of Health and National Nutrition Council, and Save the Children, a member of the Philippine Coalition of Advocates for Nutrition Security (PhilCAN) were also present. The Senate version served as the reference document but significant provisions from the House of Representatives were adopted to substantially improve the final output. PLCPD and UNICEF were instrumental in the filing of the first versions of the bill on the first 1,000 days during the 16th Congress by providing technical assistance to the bills authors and champions. The First 1,000 Days bill is expected to be signed into law before the start of the third regular session of the 17th Congress in July 2018. As part of efforts to sustain and consolidate support for the movement of the bill, PLCPD and the Child Rights Network also conduct public awareness programs. 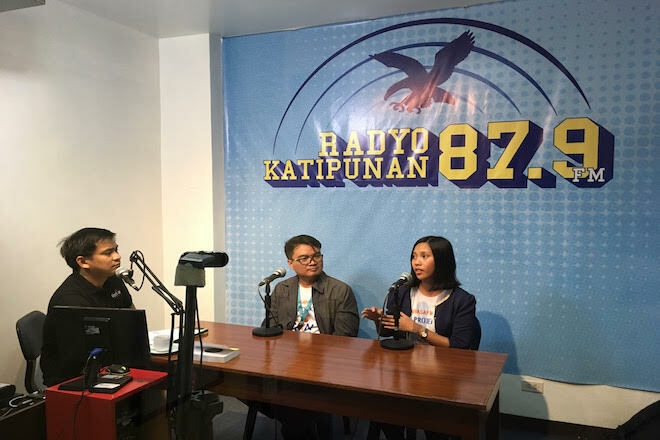 On May 3, PLCPD’s Advocacy and Partnerships Officer Janelle Rabe represented the Child Rights Network, along with UNICEF Nutrition Specialist Dr. Rene Galera in Radyo Katipunan’s Jesuit Hour hosted by Fr. Nono Alfonso, SJ to talk about the 1,000 Days. Dr. Galera explained the significance of the first 1,000 days as a critical window of opportunity for nutrition. He also identified the essential services on health, nutrition, early stimulation and water, and sanitation and hygiene services that should be provided throughout the different stages in the first 1,000 days. He emphasized the burden of malnutrition in the country and shared that more than 4 million Filipino children under five years old are stunted. Janelle Rabe, who was PLCPD’s representative in the pre-bicameral conference, shared updates on the status and prospects of First 1,000 Days bills in the legislative arena. She also cited the parallel multi-sectoral campaign efforts to expand paid maternity leave bill of up to 120 days as part of the advocacy for comprehensive nutrition intervention for mothers and their babies. This proposed legislative measure gives mothers and their babies to bond together for a longer period of time and practice exclusive breastfeeding. The bill recognizes the need for mothers to have enough time to recover from the physical, psychological and emotional effects of childbearing. Furthermore, it reinforces the call for mothers to exclusively breastfeed their babies noting that there is no alternative approach to receiving the same benefits that is can give to the overall health and development of the babies.